After a long couple of weeks of rain and wind, we are out fishing and it feels great. 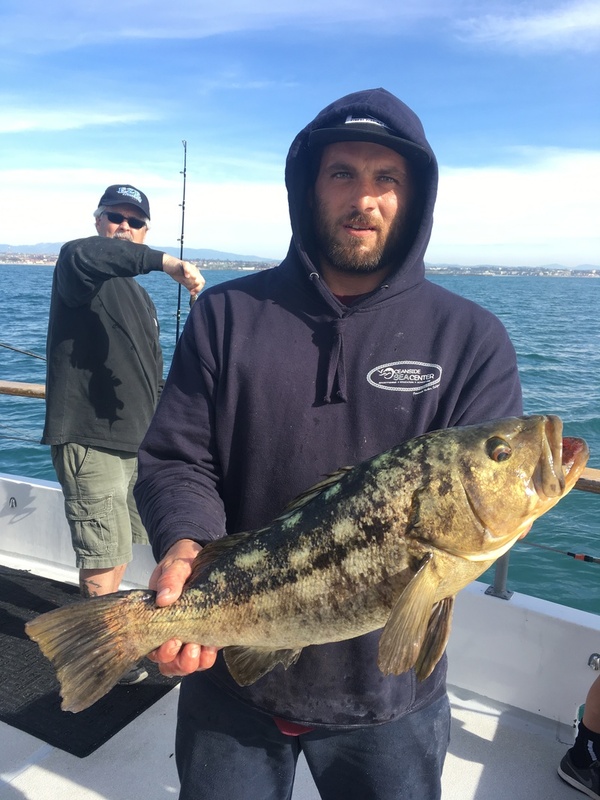 Captain David Yumori says the ocean is gorgeous and he has just put a couple of bass on the boat on his first stop of the day. The Chubasco ll is running two trips a day this weekend departing at 630am and again at 1230pm. You can book online at the Oceanside Sea Center or give us a call at 760-450-0403.